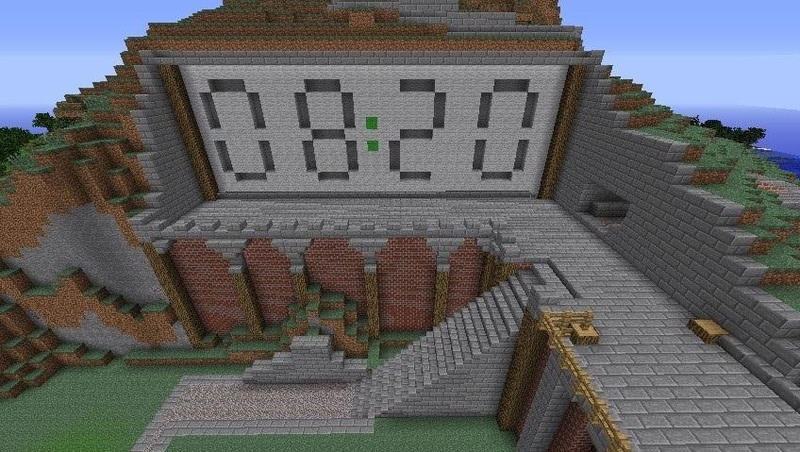 A redstone clock is a pretty easy mechanism to make. 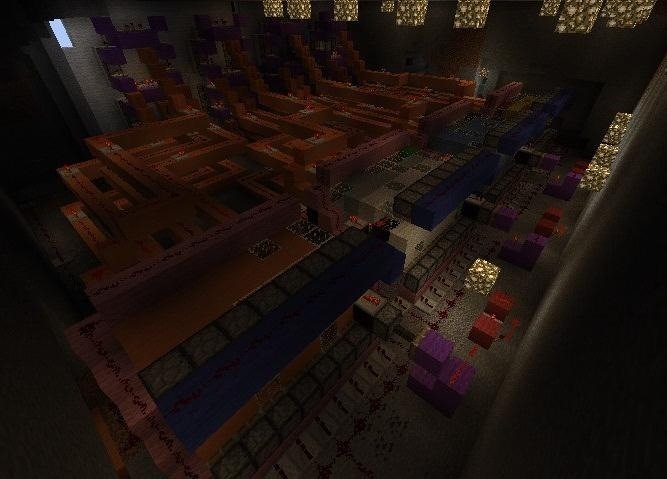 A digital readout for that redstone clock is a little harder, and that's what Lesnoydude has made that won him the staff choice award. However, what I liked most about this build wasn't just the redstone. There are plenty of builders on our server who make great redstone contraptions. What I liked about this particular build was that Lesnoydude successfully integrated his clock into a much larger build. 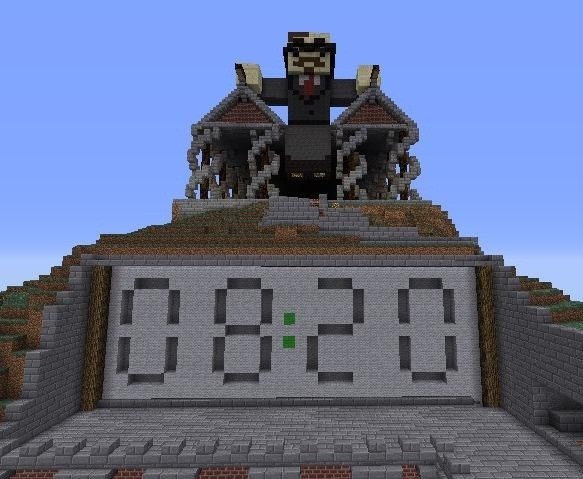 Check out this clock, built into a hillside, underneath a... well, a shrine to me. Pretty frequently I'll see advanced redstone builds just lying open out in the world, their redstone guts hanging out for the world to see. 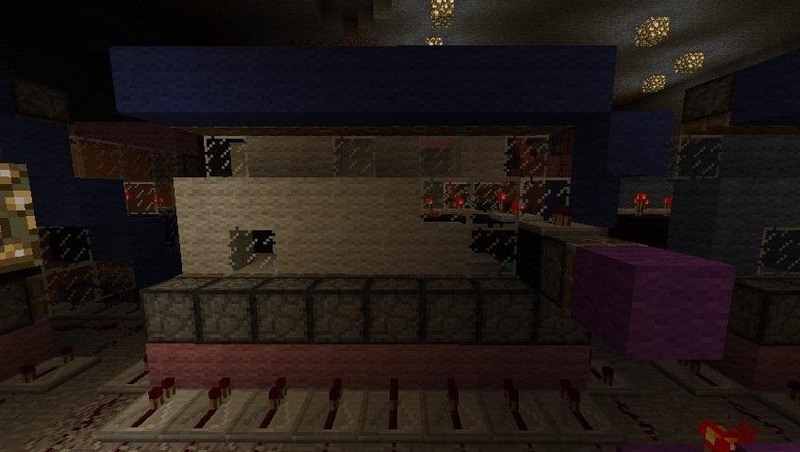 I really appreciated that Lesnoydude actually used the redstone mechanism for something aesthetically pleasing. I should add, in case it isn't clear, that this is a fully-functional clock, with working hours, minutes, and seconds. Isn't that attractive, full of brick and pillars? It's just one part of a much larger, more impressive build, but this area was complete enough to stand out above all the other staff choice award contestants this week. It didn't hurt that there's a giant statue of my avatar looking out over it. It's especially impressive when you catch a glimpse of the redstone wiring inside of it. The actual mechanism is driven by a digital system of 1's and 0's expressed by wool (one) and glass (zero). 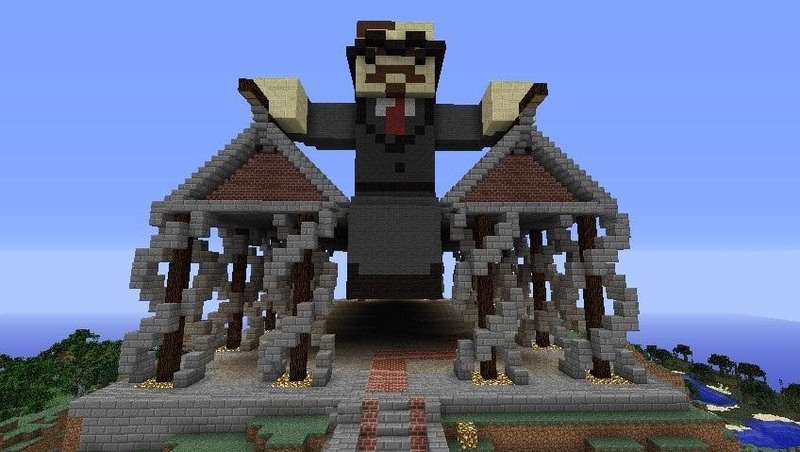 This was a great build, Lesnoydude, and you definitely deserve to win a rank and mob disguise of your choice, including colored and baby mobs! Congratulations! Not everyone can win a Staff Choice award, but everyone can try! Entries into the staff choice awards need to be submitted, either in person, or on our Inspiration board. As I can't guarantee exactly when submissions can be made in person, posting them on the board is the only reliable way to ensure that your build will be considered! Is the server playable via Xbox 360? Unfortunately not! The XBox version isn't compatible with PC servers. That could potentially change in the future, though!